Android is one of the most popular operating system for android phone. If you want smartphone but android phone. Android phone comes with many features and securities. You can lock your device from pattern and pin. This is one of the most easy way to lock your android smartphone , without your permission no one can use your android smartphone. But many times we forget own lock or pattern in android smartphone. In this post we tell you how you can unlock/bypass your android smartphone without typing pin and enter pattern in android phone. There are many ways for bypass android pattern lock in your android phone. Now Below we give you brief description how you unlock your android pattern. Make sure your phone is fully charged when trying to bypass android pattern lockscreen. You can bypass or disable your android pattern lock from usinh ADB (Android Debugging Bridge) Tool. You can download this tools from its official website. ADB tools work with your Window PC Linux, You can easily bypass android lockscreen from ADB Tools. Download ADB Tools with Drivers for Window 7, Window 8.1 and Window 10. Make Sure USB Debugging is enabled in your android phone. If your Mobile USB Debugging is not enabled in your android phone, you can;t use this method. Download and Install ADB Drivers in your Window PC. Connect Your Android Phone with your Window PC. Open Command Prompt , type adb devices and press enter. Now you see your Device Name with its model number. Now enter any pattern in your android phone and you can easily bypass android pattern lockscreen from using adb in your window pc. 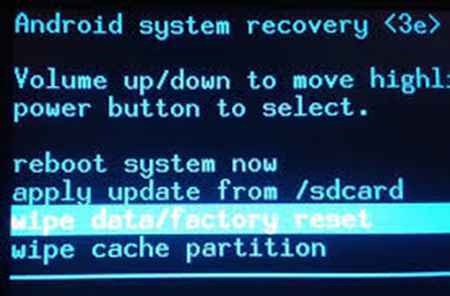 This is one of the most easy way for removing or disable android pattern lockscreen in android smartphone. But In this method you lost your all contacts and android data. Make sure you try above method , If you lost all above then try this method in your android phone for bypass android pattern lockscreen in android smartphone. Switch Off your android phone and start it. Now press volume up and down button and delete all user data in your android smartphone. 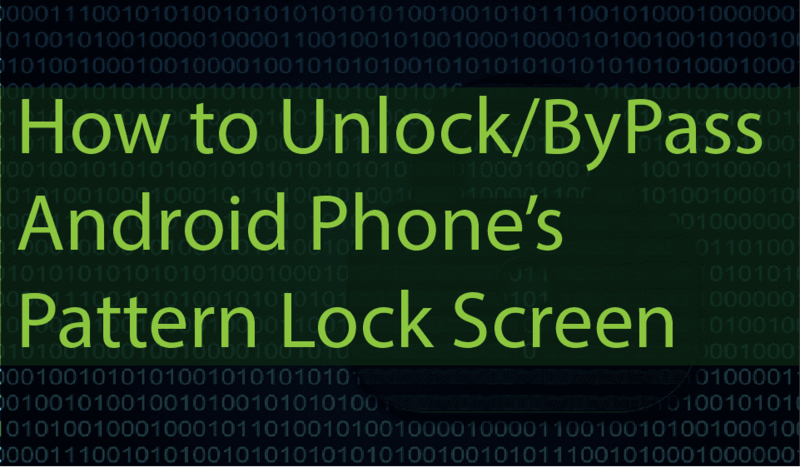 This is one of the best way for bypass android pattern lock without using adb and cmd. When you buy new android phone for your daily use. Download SMS Bypass LockScreen Android App for your android phone. If somehow you forget your android pattern lock/pin/password , you can easily recover it throught sending sms from another android phone. This is default method and working in every android smartphone , but make sure your phone is connected with wifi or mobile data network. When you enter too many wrong pattern lock in your android phone , your phone will be locked and give you options for recovering your pattern lock from forget password options. Select your Google Account and type your gmail password and google account password. If you type right password in your android smartphone , your phone will be unlocked. But this method is not working in your android phone, because people off data connection and they did not enable auto connect wifi in android settings. If you buy new phone make sure you always enable data connection for bypass android pattern , if your forget password. These are one of the best way for bypass android pattern lock in any android smartphone. Make sure you use these tricks for only educational purposes.